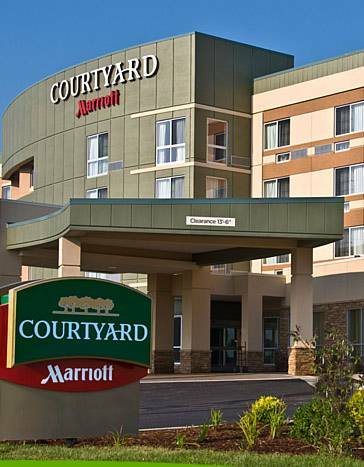 Whether guests are working or playing, the choice and space is yours at the Courtyard Houston Kingwood hotel. Guests enjoy rooms with King & Queen sized beds, Courtyard Suites, plush bedding, stylish bathrooms, flexible workspace, free Wi-Fi, and Paul Mitchell Grooming Essentials. The Lobby is yours with space that works for meetings, meals or me-time, Go Board Touchscreens, business center and our 24/7 Market. The Bistro.. We've got tastes to suit your speed. Guests can take it to go or Sit and Be Served. We proudly serve Starbucks Coffee, seasonal food and Cocktail selections. Our gym, our outdoor pool, whirlpool and fire-pit allow you to get your heart rate up or just let your day wind down. Meetings and events are more than just tables and chairs. We bring your vision to life. With 4300 square feet of event space, we make guests feel welcome, create memories with culinary offerings, personalize with technology and create excellent experiences.